UKECI have a strong selection on offer and you can choose either by programme or location across the UK.On our fun-filled activities programme you will discover some of the top tourist destinations in the UK, such as London, Bath, Southampton, Manchester, Liverpool, Cambridge and Oxford. You will also take part in a wide variety of other activities such as discos, parties, sports and creative workshops. Many have a learning element and all are designed to help you make friends and activate your English. We look forward to giving you a fantastic summer! Classic Programme combines fun and challenging lessons with a full activities programme. As both a tourist and a language learner, you will have a truly unforgettable experience! Develop your game, improve your English and make friends from around the world. 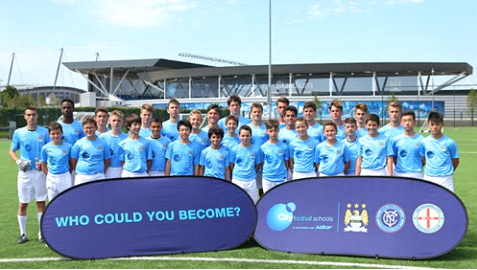 You will receive high quality training from specialist football coaches. This includes not only skills practice and tournaments but also sports science seminars in order to maximise your development. You will enjoy training with big Football Club names, such as Manchester City and Manchester United. Improve your tennis and develop your English, while discovering the UK and making friends from around the world! You will receive high quality training from specialist tennis coaches. This includes not only skills practice and tournaments but also sports science seminars in order to maximise your development. Your experienced coaches will develop your ability, whilst also promoting core values such as sportsmanship, teamwork and fair play.